A family reflects on the death of their brother/son many years ago and the fact that the man who shot him was never indicted for the killing. Every single day in America, numerous people meet their fate at the end of a loaded gun. 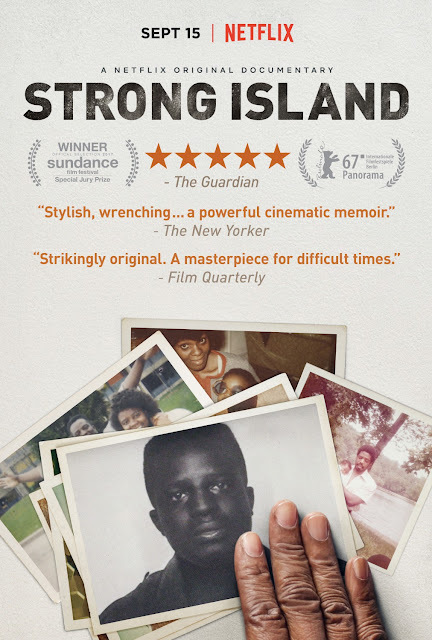 "Strong Island" is directed by Yance Ford and tells the story of his brother William Ford Jr., who was shot and killed in 1992. 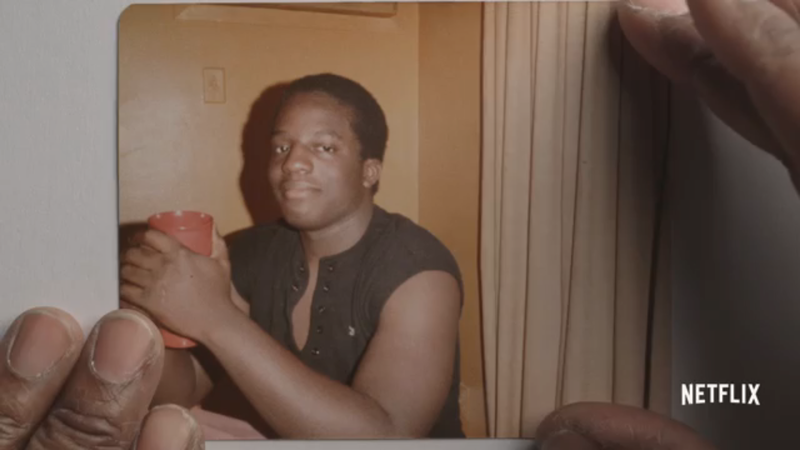 William's killer never served any jail time and was allowed to walk free. In this in-depth documentary, the Ford family reexamines the incident and tries to come to terms with what happened all those years ago. The film is told from the point of view of the Ford family and their friends. They explain how their parents grew up in the Jim Crow south, worked hard, moved to New York and then to Long Island to raise a family. They lived there without incident until a car accident in 1992 and the aftermath that followed, leading to the death of their eldest son, Yance's brother William Ford Jr. This Netflix documentary hopes to highlight a great miscarriage of justice, how the failure of the investigation, possibly even the district attorney and the bias of an all-white jury, allowed the killer of a young black man to walk free. This story is still, unfortunately, told all too often in our country. As the movie moves along its runtime, we learn a lot about the Ford family. We see where they came from and how the matriarch and patriarch were good parents to their kids. We see how they worked hard to make sure their kids got a good education so they would be successful in life, but we hear very little about the actual incident that led to William's death until the end portion of the film. What we get is an outline of what happened. After a traffic collision with a tow truck, the tow truck driver offered to repair Ford's car for free so long as they didn't file a police report. William Ford agreed. When the repairs took longer than expected, it led to multiple verbal confrontations between the Ford's and the shop owners. A couple days before the shooting, William went to their establishment and broke a shop vacuum, then picked up a car door and looked as if he was going to smash it before putting it down. After the Ford's received their car back, William and his friend went to the shop late at night and confronted the shop owner. He spotted an employee that insulted his mother during a verbal altercation, and William pursued the employee who fled into the body shop. An unarmed William followed suit, and a few seconds later, a gunshot rang out as William exited the building holding his chest. He died outside a few moments later. It is a painful event that altered the course of the Ford family irreparably. This is the incident as presented by the Ford family. The 107 minute documentary of the Ford's talking about their lives and aspirations boils down to that single paragraph. 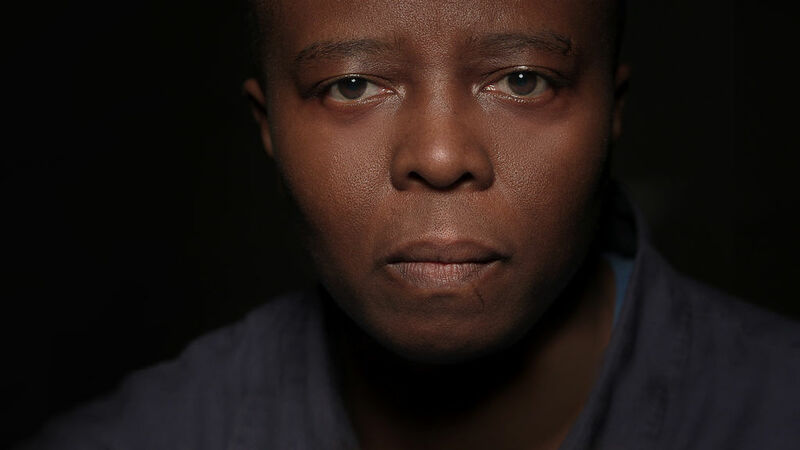 "Strong Island" wants the audience to ask, was this a miscarriage of justice? Or is this a case of a business employee shooting an attacker in self-defense? The Grand Jury believed it was the latter. The Ford family believes it was the former. What you feel may depend on your views on guns and gun laws. That's really our biggest problem with the documentary. It doesn't offer any damning evidence that there was some greater conspiracy at play here. It doesn't exactly prove that the local police officers and/or the district attorney failed to do their jobs (though it does seem like it took a long time to get an official answer to the Ford family). Despite being extremely in-depth and meticulously and very competently shot, this movie winds up being a movie about grieving family searching for closure, justice, or vengeance that will probably never come for them. We hope the Fords eventually find peace with this tragedy.